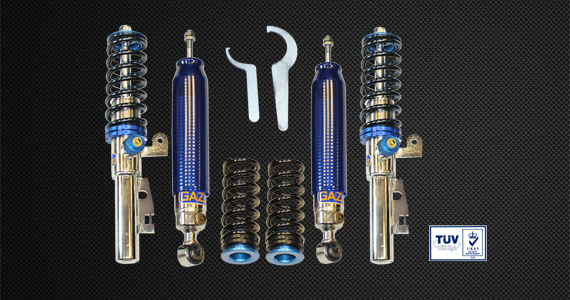 Full race suspension kit for the smart fortwo 451 model that has been built, developed and tested by us and GAZ for our race cars. 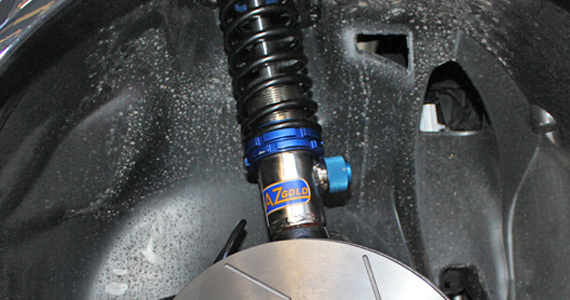 The rear suspension has 24 point adjustment for bump and rebound as well as lowered springs that also has height adjustment. The front has fully adjustable coil over shock absorbers and again with 24 point adjustment for bump and rebound allowing you to adjust to suit the conditions you are racing in. PLEASE NOTE: This suspension has been designed and developed for the race track and to work with 15″ wheels, if you purchase this for the road you will experience a lot of noise and it will seem very harsh. We are in the process of developing a version more suited for road use and larger wheel sizes. 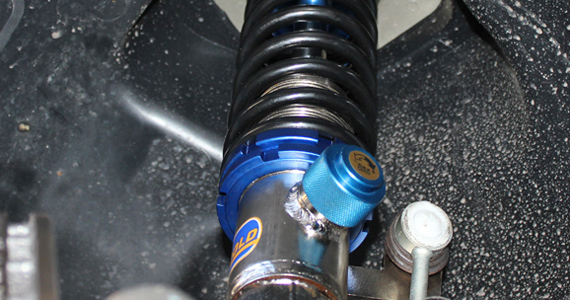 Our suspension comes fully guaranteed and the shocks are fully serviceable by us.